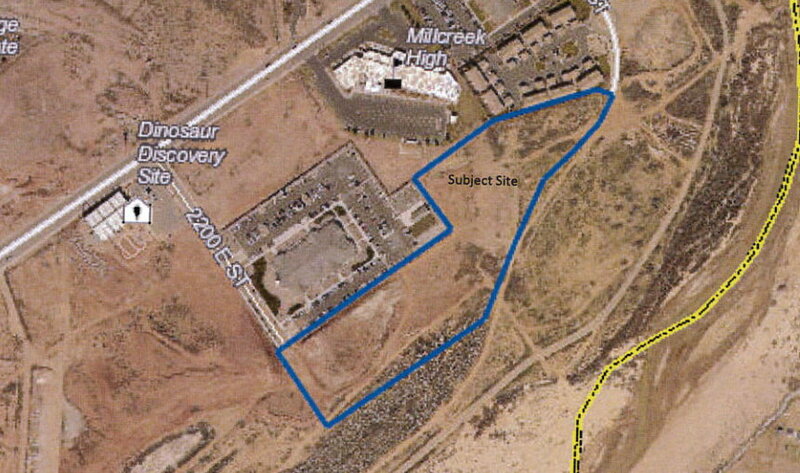 ST. GEORGE – Three multifamily housing projects were approved to move forward by the St. George City Council during a regular meeting Thursday night. Officials said there’s a need for such developments as the general availability of multifamily housing like apartments, townhomes and the like is less then 1 percent across the county. The largest of the multifamily housing projects set before the City Council was the proposed Grayhawk Apartments at River’s Edge project, located between Riverside Drive and 2450 East and set behind a church and Millcreek High School. It will feature 244-units spread across 15 buildings between two and four stories tall and covering nearly 12 acres. A requested zone change allowing the project to move forward was originally passed in March 2015. However, due to delays related to the size and scope of the project, as well as financing, a building permit from the city was not taken out within a required time period of 18 months. This caused the zoning to revert to its previous designation. With those issues subsequently resolved, developers came back Thursday night with a renewed request for a zone change that was unanimously approved. Randy Rindlisbacher, of Bach Homes, who originally spoke to the council about the project, said he wanted to emphasize the need for multifamily housing in Washington County, as no major multifamily housing project had been built in the area since 2006. According to a mid-year report from NIA Excell that Rindlisbacher cited, the demand for multifamily units is very high while the supply is virtually nonexistent. On top of the scarcity, rent for such units can also high, he said. St. George Mayor Jon Pike said the council believed in the project and the need for more multifamily developments. The mayor said he would also like the see the surrounding communities embrace such projects. Other requested measures related to multifamily projects that passed Thursday night included 96 townhomes located in the area of 1420 E. River Road. The site covers 16 acres and is a part of the Fossil Hills development. A much smaller complex housing four residential units in the area of 1650 N. Dixie Downs Drive covering half-an-acre was also approved to move ahead. Like Grayhawk, developers on this project had not taken out a building permit before the required 18 months experienced. City officials are sometimes criticized by facets of the public for not implementing elements of the Vision Dixie plan, Pike said, adding that multifamily housing projects like Grayhawk and others actually meet elements of that plan. “We’ve got to go up a little more, and we need a little more density,” he said. Following the meeting Pike acknowledged there are residents who don’t want to live near multifamily units, even if they may agree there is an evident need. The multifamily housing squeeze may continue for a while yet, especially amid the county’s projected growth rate. According to a study from the University of Utah, Washington County has experienced a growth rate of 3.7 percent in the last year. This is higher than previously estimated rates that place growth at just under 3 percent. Between April 1, 2010 and July 1, 2016, Washington County has gone from a population of 138,115 to 160,359, a gain of 22,244 during that period. By comparison, the vacancy rate for multifamily units in 2010 was 9.8 percent and dropped to 0.4 percent in 2016. Careful using that word “project” might scare some people off! I’m glad to see this project move forward and I’m sure this will result in a positive reaction from the community and I would like to thank all those involved in making this possible. Looks like a nice development well located near market, walking trail, Parks and school. I was amazed vacancy rate so low which points to this as an affordable option needed for demand in this growing area. with the RiverWalk Village, the three-story, 55-unit low income complex just behind Mill Creek HS and this complex of 244 apartments in the same area the congestion went from minimal to crazy at a quick pace. added to the mix is the Smith shopping complex; Mall Dr and East Riverside Dr have the potential to become traffic headaches. four hundred and nine apartments could easily be over 1000 extra folks in that area. I wonder if they are going to make these as expensive as the rest to where the people who really need them cannot even afford them. It is ridiculous how much higher rent is here compared to anywhere else.